It’s the promotion’s first venture into the Land of the Rising Sun, and it’s also the beginning of a new era. ONE Championship will hold the biggest event in the company’s history on Sunday, March 31, from the Ryōgoku Kokugikan in Tokyo. ONE Championship: A New Era features four title fights, high-level kakutogi match-ups, and the debuts of former UFC champions Demetrious “Mighty Mouse” Johnson and Eddie Alvarez. In the night’s headliner, two-time ONE lightweight champion Eduard Folayang meets a familiar foe in former champ Shinya Aoki. Folayang captured the belt for the first time with a thrilling third-round stoppage over Aoki in 2016. 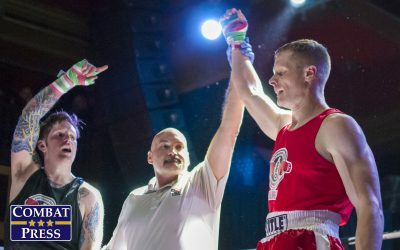 In his latest contest, he recaptured the belt with a decision victory over Amir Khan to win the vacated title, which became available when two-division titleholder Martin Nguyen relinquished it in 2018. Both fighters will bring a three-fight winning streak into their rematch. In the biggest women’s MMA bout in promotional history, ONE women’s strawweight champion Jingnan Xiong puts her title on the line for the third time when she goes up against undefeated ONE women’s atomweight titleholder Angela Lee. Xiong, 31, has impressed with dominant performances since joining the promotion in late 2017. The Chinese star has won her last eight contests. Lee, the most popular woman in the promotion, has won all nine of her career MMA bouts. Lee has stoppage victories in every bout except her championship battles against “V.V” Mei Yamaguchi. Two-division champion Aung La Nsang looks to recreate his success when he defends his ONE middleweight belt against Ken Hasegawa for the second time. 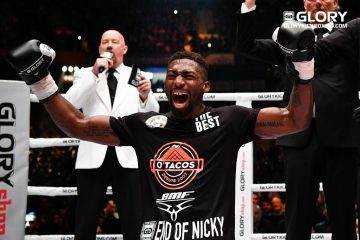 Nsang capped off an incredible “Fight of the Year” with an absolutely brutal fifth-round knockout finish in their first meeting. Nsang puts his five-fight winning streak on the line against the former Deep openweight champ, who has not fought since dropping their championship contest. In the night’s fourth and final championship bout, long-reigning former ONE bantamweight champ Bibiano Fernandes looks to avenge his first loss in nearly eight years when he attempts to reclaim the belt he lost to current titleholder Kevin Belingon. Prior to the closely contested title fight, Fernandes had won 14 straight fights, including his first meeting against the Filipino champ. Belingon scored two of the biggest victories in his career when he defeated the aforementioned Nguyen and Fernandes in back-to-back fights to push his winning streak to seven. In their promotional debuts, former UFC champs Johnson and Alvarez look to move into the semifinals of their respective tournaments. 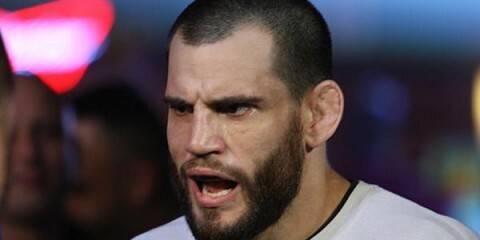 Johnson returns for the first time since dropping his UFC flyweight title in controversial fashion against Henry Cejudo. He will be welcomed by Japan’s Yuya Wakamatsu, who has won 10 of his last 12 fights. Alvarez looks to advance in the lightweight tournament, but he’ll need a victory over high-flying Russian Timofey Nastyukhin. In the first main card bout of the evening, legendary two-time K-1 MAX champion Andy Souwer looks for his 99th career knockout victory when he takes on one of the world’s best in Yodsanklai Fairtex. Fairtex is currently on a 30-fight winning streak. Souwer defeated him after an extra round in their first meeting more than a decade ago. The winner of this bout is ultimately guaranteed a spot in the upcoming ONE Super Series featherweight grand prix, which starts later this year. In the flyweight grand prix quarterfinals, former ONE flyweight champ Kairat Akhmetov looks to stop the three-fight winning streak of former title challenger Reece McLaren. Meanwhile, former flyweight King of Pancrase Senzo Ikeda takes a short-notice fight against Danny Kingad, who has won seven of his eight ONE bouts. 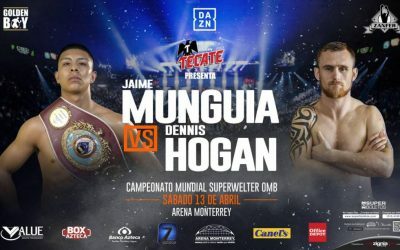 Rodtang Jitmuangnon, one of the world’s must-watch fighters, makes his promotional return against K-1 veteran Hakim Hamech. The “Muay Tank” has been dominant in his ONE career with victories over Sergio Wielzen and Fahdi Khaled. High-level grappler turned MMA fighter Garry Tonon has stopped all three of his professional bouts to date. He’ll try to make it four when he meets Dutch striker Anthony Engelen. The preliminary card kicks off at 5:30 a.m. ET on ONE Championship’s Facebook and Twitter pages. The main card continues live and free at 8:30 a.m. ET on B/R Live (United States), Youtube, and the ONE Championship app. This is by far the biggest event in ONE history. Four title fights top a bill that also includes the promotional debuts of Demetrious “Mighty Mouse” Johnson and Eddie Alvarez. Which title fight will be the most competitive affair? Which will be the most one-sided? Three of the four bouts feature fighters who will meet for the second or, in the case of the bantamweight championship, third time. In the other title fight, two champions clash in one of the most anticipated female fights in ONE history. All four contests will be competitive bouts. However, it’s easier to examine how the title fights will unfold from the rematches, because we’ve already witnessed how the fighters’ styles clash, how the fight ended, and what adjustments both fighters need to make in order to put on a better performance in the rematch. In the most competitive match-up, Bibiano Fernandes looks to recapture the title he lost to current bantamweight king Kevin Belingon. Fernandes had held the title since defeating Soo Chul Kim in 2014 in the middle of a run of 14 straight wins. The Brazilian was considered one of the best fighters in the bantamweight division outside of the UFC for nearly a decade. In their first meeting, Fernandes submitted the Filipino challenger with a kimura in the first frame. Four months ago, though, Belingon put on a five-round championship performance to edge out the long-standing king. Belingon’s quickness, sharp striking, and ability to escape danger on the mat were enough to get the decision. Fernandes wants this fight on the mat, whereas Belingon needs to keep it standing. The current middleweight and light heavyweight king Aung La Nsang has become one of the faces of ONE due to his cult following in his native Myanmar. He wasn’t able to fight at ONE Championship: Reign of Valor earlier this month, but he has competed on every other card in Myanmar from 2015 to 2018. This will be the first time he will fight outside of the country since his only loss in the promotion against former champion Vitaly Bigdash in 2017. During his time with the promotion, the 33-year-old has won nine of his 10 bouts, including four by knockout and three via submission. He has looked impressive against talented competition like Alexey Butorin, Bigdash, Michał Pasternak, Alexandre Machado and Mohammad Karaki. Nsang faces Ken Hasegawa for the second time, this time in Hasegawa’s home country. 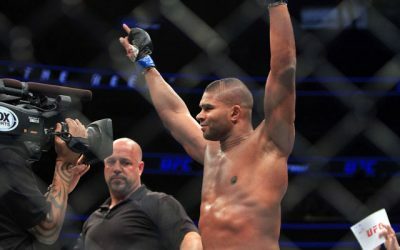 The former Deep openweight champ began his career as a heavyweight, but he has since cut down to middleweight, and even welterweight, over recent years. Outside of his loss to Nsang, his only other defeats have come below the middleweight limit against Bellator veteran Brennan Ward in Rizin and Ryuichiro Sumimura in the Deep welterweight tournament final. The 32-year-old has stopped 10 of his 16 opponents. He holds wins over UFC and Pride vet Kazuhiro Nakamura and former Deep middleweight champions Ryuta Sakurai and Yoshiyuki Nakanishi. In the first meeting, Hasegawa was finding a home for his left straight, jab, and right hook during the opening two rounds. He would counter Nsang’s forward movement in the open-stance battle with his quintessential boxing combos. Nsang was eating heavy punches in order to close the range so he could land his short-range tools. With about 30 seconds to go in the second frame, the fight turned into an all-out war. The entirety of the third round was a brutal back-and-forth brawl where neither man gave an inch in the center of the cage. Nsang started to land more effectively as Hasegawa began to slow. The champion started working on Hasegawa’s body by attacking him with strong hooks on the inside, heavy kicks in return, and a number of solid right straights that bloodied and battered the face of Hasegawa. In the final round, Hasegawa had nothing left in the tank. Nsang pressed forward for the finish, absolutely folding Hasegawa like a chair with a lead right uppercut, a punch he had been searching for since the third round. Hasegawa hasn’t been in the cage since tasting defeat that night. He has adjustments he can make to put himself in position to land his left straight to set up his other strikes. Hasegawa needs to add more kicks, target the body, and work on his gas tank. 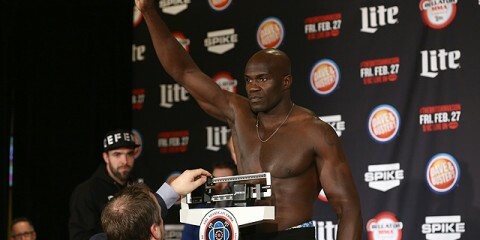 Nsang’s durability allowed him to eat shots early in the first few rounds. Nsang wasn’t nearly as effective, because he was putting himself in line for Hasegawa’s straight counters while he was throwing shorter, lateral strikes. Once he began mixing in his other strikes, especially his right straight, left hook, and right uppercut, he found more success. Nsang won’t have the hometown crowd to push him, but he should repeat history in the rematch. One of the hardest fights to predict is the women’s strawweight championship bout between Jingnan Xiong and current atomweight titleholder Angela Lee, who is moving up in weight. It’s been known for years that Lee has struggled with her weight cuts. Information has come to the light during her title run that suggests she is too big for the weight class. The promotion doesn’t release the weigh-in results and hydration tests to the public, so it’s next to impossible to know if these claims are real. Either way, Lee is a massive fighter for the ONE atomweight division, which has an upper limit of 115 pounds due to the promotion’s weight-cutting program. The best example of her advantages at the weight class came in her title bouts against “V.V” Mei Yamaguchi, who was clearly dwarfed by the Canadian-born fighter. Now, Lee will give herself an extra 10 pounds of leeway, which very well could produce the best results for the undefeated champion. At 22, she already holds two wins over Yamaguchi, a highly experienced, top-level fighter. However, Lee has rarely fought an opponent who was larger than her. Xiong is the first fighter from China to win a major international title in MMA outside of the country. The 31-year-old has been involved in martial arts for well over a decade. She entered combat sports at the age of 12 with the Shandong women’s boxing team. She competed nationally for years before wanting to challenge herself by learning more martial arts. Xiong made her professional debut in 2014 with a young Kunlun Fight promotion. She defeated a number of overmatched opponents early in her career, but she started to rack up solid victories as her career unfolded. Her resume includes names like Liliya Kazak, Julia Borisova and Bellator veteran Lena Ovchynnikova, albeit in a wushu bout. The Alliance BJJ and Bali MMA representative has won 13 of her 14 fights, with 10 stoppage victories. 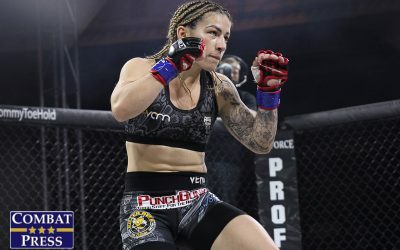 Her lone defeat came against the most experienced opponent she has faced to date, Invicta and Strikeforce veteran Colleen Schneider. Since joining the promotion in 2017, “The Panda” has defeated Laura Balin by decision and stopped April Osenio, Tiffany Teo and Samara Santos. In terms of the match-up, Xiong has a clear advantage in striking. Her relentless forward pressure, huge hooks over the top, and ability to defend and counter shots (when she feels like it) make her the much more dangerous striker. Lee can hold her own on the feet and may even land some solid strikes, but she is better served by getting this fight into her realm. Lee will have an advantage on the ground. She is absolutely relentless with her pressure, striking from the top position, and non-stop submission chaining. Xiong is constantly improving her game, but if she spends a significant amount of time on the ground, then she will lose the fight. Her lone loss came against a strong wrestler in Schneider, who controlled Xiong for the majority of the fight. The loss forced Xiong to pursue better wrestling and grappling training, which she believes she has found with Bali MMA. This fight is an intriguing match-up and clash of styles. There is one thing that is certain, however. These ladies are as tough, durable and strong as any fighter on the roster. Expect this bout to be decided by who controls where the fight takes place. The most one-sided — but still competitive — championship bout is the lightweight title clash between two-time champ Eduard Folayang and former ONE, Dream and Shooto titleholder Shinya Aoki. In their first meeting, Aoki made the threat of a takedown well known. He was able to get Folayang on his back in both the first and second frames, but he found little success on the mat. Aoki attempted a kimura, took back control twice, and even had control with the body lock. Folayang thwarted all of his attempts, standing up multiple times from takedowns, and putting the fight back into his territory. Aoki’s inability to mask his takedown attempts opened up counter opportunities for Folayang. Aoki didn’t hide his takedown attempt to start the third round, which gave Folayang the space to land a strong right knee as Aoki changed levels. The knee perfectly found its home due to Aoki’s angle of entry on the shot. That was the beginning of the end, as Folayang finished the job with a series of knees and punches while Aoki was turtled up against the cage in defense. The dynamics of the fight won’t change in the rematch. Folayang wants to strike on the feet, land his power punches, and use the kicks to control the distance. Aoki wants to get inside, get on top, and hunt for the submission, whether that’s through control or in a scrambling situation. Folayang will always be the more dangerous opponent on the feet, especially if Aoki can’t even throw feints on his way in for a takedown attempt. Given how desperate Aoki will be to get this fight down, how effective Folayang was in defending in the grappling and wrestling exchanges, and how much power Folayang poses, this fight seems destined to end in a similar fashion to their first encounter. Will both Mighty Mouse and Alvarez advance to their respective tournament’s semifinal round? 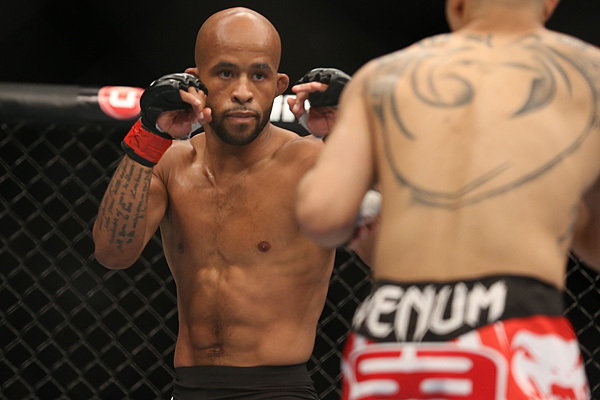 Mighty Mouse remains one of the best MMA fighters in the world today despite losing to Henry Cejudo in controversial fashion in his last UFC bout. The split-decision loss forced Johnson to contemplate where his future lies. It turns out, his management team orchestrated a “trade” between the largest MMA organization in the world and one of the biggest international promotions. The monumental moment in the history of the sport offers new challenges for the 32-year-old Johnson, who has already accomplished so much in the UFC. Mighty Mouse won 27 of his 31 contests, went on a 13-fight winning streak between 2012 and 2017, and defeated the best fighters in the division. 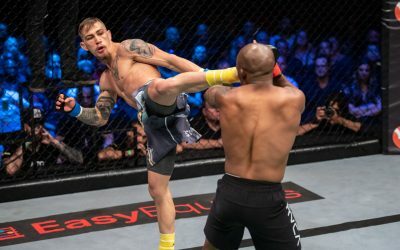 He toppled the likes of Kyoji Horiguchi, Joseph Benavidez (twice), Cejudo, John Dodson (twice), Wilson Reis, Ian McCall, Tim Elliott and Ray Borg. Johnson is welcomed to the promotion by Japan’s Yuya Wakamatsu. The former King of Pancrase title challenger has stopped nine of his opponents with strikes. The heavy-hitting 24-year-old will offer an interesting challenge during the standing exchanges for Johnson, who will likely seek to challenge himself following his first loss in over six years. Wakamatsu fell short in his ONE debut against Danny Kingad and dropped an incredible championship bout against Senzo Ikeda earlier in 2018. Now, Wakamatsu has the chance to unseat the greatest flyweight of all time. The key factors for Mighty Mouse to return to the win column will be his speed, ability to mask his strikes with takedowns and vice versa, and, when the opportunity arises, his ability to take the finish. Wakamatsu is an exciting, athletic striker who can put anyone to sleep. However, this bout seems like a walk in the park for the top-10 pound-for-pound fighter. Alvarez, a former UFC and Bellator champion, steps inside the ONE cage for the first time. 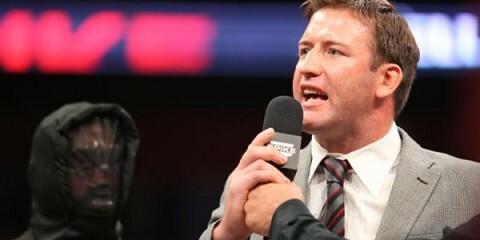 The Philadelphia native has a long history of success in Japan while competing with the now-defunct Dream promotion. Alvarez defeated Andre “Dida” Amado, Joachim Hansen and Tatsuya Kawajiri to earn his spot in the finals of the Dream lightweight grand prix. Unfortunately, he was unable to fight again that same night due to the damage he took in his war with Kawajiri. After a few more fights with Dream, Alvarez shifted his attention to the upstart Bellator promotion, where he captured the title twice. 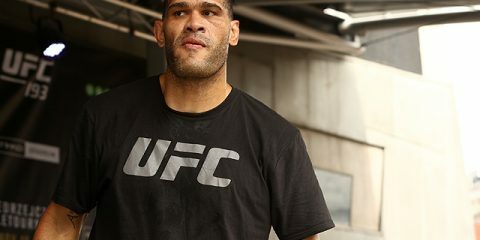 He was involved in a contract dispute that nearly lasted two years when he attempted to leave Bellator for the UFC. 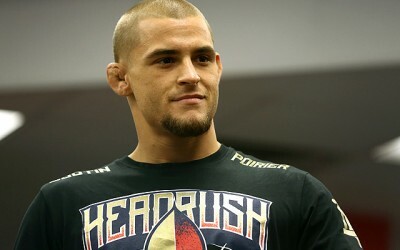 Eventually, he did make his UFC debut and won the title over Rafael dos Anjos. In 2018, Alvarez left the promotion on a loss against Dustin Poirier. He remains one of the most decorated and accomplished lightweights in the history of the sport with 29 victories in 35 fights. Alvarez will be welcomed to the promotion by the human highlight reel that is Russian destroyer Timofey Nastyukhin. The 29-year-old is still mostly known for his incredible promotional debut against current lightweight king Eduard Folayang. Nastyukhin leaped through the air with a flying knee like Superman. The jumping switch knee had Folayang essentially out of the fight, but “Tim Nasty” put the coffin nails in with two brutal soccer kicks, which potentially forced the promotion to change its ruleset to adhere to public perception of the violence involved. Nastyukhin didn’t care about the sponsors. Instead, he went on to finish his next two opponents with strikes and soccer kicks. In 16 bouts, Nastyukhin has 12 victories, including 10 finishes inside of three rounds. The match-up will be closer than most expect. Nastyukhin offers plenty of danger to the former champion due to his relentless pressure, exciting style of attack, and overall skill set. The Russian is capable of holding his own on the ground if Alvarez relies on his wrestling in the bout. Alvarez is the much more accomplished and skilled fighter, but fights aren’t won on paper. Don’t be shocked if Nastyukhin can spoil the debut of Alvarez. However, Alvarez has the toolbox to deal with the problems his opponent offers. The real question is whether or not Alvarez can make the adjustments if he finds himself stunned, which tends to happen more often than not. Legendary champions Andy Souwer and Yodsanklai Fairtex will meet again. Can Yodsanklai avenge his loss or will Souwer end his own losing skid? The golden era of K-1 and MMA in Japan came in the early to mid 2000s. 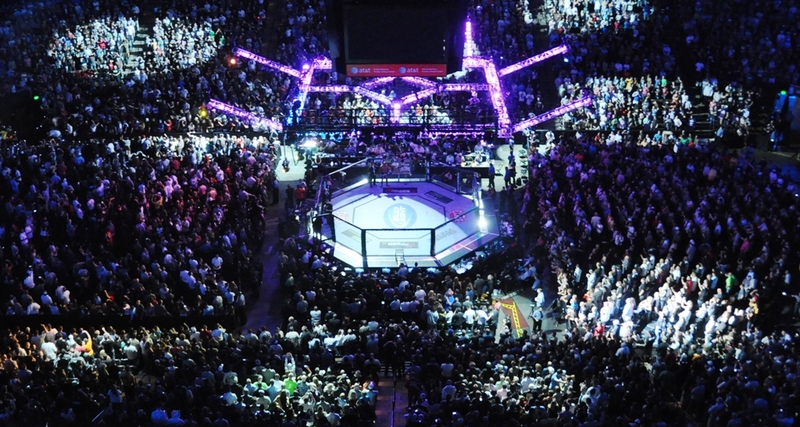 The dominant forces of K-1 and Pride captivated audiences with the best fighters, incredible production, and thrilling events. As the martial-arts world begins to have a resurgence with new stars such as Tenshin Nasukawa and Takeru coming to the forefront, it’s fitting that one of the legendary fighters from that older era features prominently on one of the biggest MMA cards of the year in Japan. Souwer was a dominant force in K-1 and Shoot Boxing. The four-time S-Cup champion was at his most dominant during a run from 2003 to late 2008 when he was victorious in 36 of his 40 bouts, won two K-1 MAX titles, captured two S-Cup titles, finished as the K-1 MAX and Shoot Boxing S-Cup runner-up three times, and defeated some of the best kickboxers of the era. The legendary Dutch fighter has an incredible resume that features 160 wins, 98 knockouts, and just 21 losses. Souwer is considered one of the best kickboxers of his era, because he racked up wins against elite competition like Masato (twice), Buakaw, Artur Kyshenko, Nieky Holzken, Albert Kraus, Andy Ristie, Harut Grigorian and many others. One of the best wins of Souwer’s career came against his upcoming opponent, fellow legend Yodsanklai, who is one of the world’s most popular and well-respected Muay Thai fighters. Their first fight took place in 2008 at SLAMM Nederland vs Thailand IV in Souwer’s home country of the Netherlands. In their first encounter, Yodsanklai used his left middle kick from the southpaw stance to attack Souwer’s liver. Souwer did a great job of countering with his low kicks, however. In the third frame, Souwer was getting the better of Yodsanklai with his hands. Souwer turned up the pressure after landing a glancing left head kick on the back of Yodsanklai’s neck. From that point, Souwer took it to Yodsanklai with his boxing combinations, especially with his left hook. The fight went to an extension round, where Souwer was able to press forward with his left hook, right cross, and low kicks to earn the decision victory. Since their first fight, Yodsanklai has won 54 of his 60 bouts. In 2012, the 33-year-old kicked off the longest winning streak of his illustrious career with victories over Marat Grigorian, Yohan Lidon, Dzianis Zuev, Dzhabar Askerov, Diogo Calado and many other top fighters. He won 30 straight fights during his seven-year unbeaten run, including 16 by way of knockout. The former two-time Lumpinee stadium champion has 201 victories and 78 knockouts in his career. In 2017, he announced his retirement from the sport, citing injuries he had amassed over his 20-year career. Less than a year later, he ended his brief retirement after making some big changes in his training regimen. He won four fights in 2018, including both of his ONE bouts. He took out Chris Ngimbi in his promotional debut and knocked out Luis Regis in the first round at ONE Championship: Destiny of Champions to close out the year. Both men will step into the ring as a much different version of themselves. Yodsanklai now has far more in his toolbox than a left middle kick. He switched his style to acclimate to the kickboxing ruleset over the past decade. He has focused on his boxing to further adapt his game to a more western style of judging, instead of the Thai style which features scoring for kicks, knees and clinch work. Souwer similarly retired in 2016, but opted to return to the sport in 2018 after a venture into MMA. Since returning, he has been knocked out by Tayfun Ozcan with Souwer’s own signature right cross counter in the Enfusion 72.5-kilogram championship and defeated via split decision by UFC veteran Anthony Njokuani in his ONE debut. Yodsanklai should be the favorite heading into this rematch 11 years in the making. Souwer is an incredible fighter with his diversity of attack, combinations, and kickboxing flow. His style is beautiful to watch and akin to a stunning piece of artwork. However, he’s struggled recently, while Yodsanklai seems to have an aura of invincibility. No matter how this fight plays out, it very well could turn into the most technical, high-level battle on the fight card. With such a heavy helping of high-stakes MMA action, the kickboxing and Muay Thai offerings feel like an afterthought here. However, do fans have a reason to care about any of these fights? This shouldn’t even be a question. The event only features four kickboxing and Muay Thai bouts, but these fights include some of the biggest stars on the card, especially in the Japanese market. Rodtang Jitmuangnon is one of the hottest names in Muay Thai today. His exciting style, non-stop pace, and Terminator-esque destruction have brought his name to the forefront in recent years. He became a well-known name in Japan when he stood toe-to-toe with Tenshin Nasukawa, one of the biggest names in kickboxing. Rodtang arguably won the five-round championship bout prior to an extra round that was awarded to Nasukawa, who remains undefeated and more popular than ever. Rodtang is one of the most exciting fighters to watch in combat sports, and he’s been competing on a high level for years. The former two-time Omnoi stadium and MAX Muay Thai champion won his 256th fight just three weeks ago against top-10 ranked stadium competitor Chorfah Tor.Sangtiannoi in Rajadamnern stadium, the highest level of the sport. Rodtang has been on an exponential rise over the last two years with huge victories over stadium mainstays Petchdam Kaiyanghadao, Superbank Mor Ratanabandit, Mongkonkeaw Sor.Sommai and Suakim Sit.Sor.Tor.Taew. In his ONE career, the “Muay Tank” has dispatched of former Lion Fight, It’s Showtime and W5 champion Sergio Wielzen and Tunisian Fahdi Khaled. In both contests, his endless forward pressure led to a symphony of violence. He dropped Wielzen and Khaled multiple times en route to dominant decision victories. If Rodtang get his third win in Japan, then his stock will continue to rise, which will give ONE more options when the company returns to Japan. The promotion has tried to implant itself into the regional Japanese MMA scene by cooperating with top promotions Shooto and Pancrase to indirectly grow the potential talent pool in the sport. Rodtang could be an important part of the promotion’s future in Japan and Thailand. We’re only three months into 2019 and Rodtang is already looking for his third win of the year. He takes on experienced French-Algerian fighter Hakim Hamech. The talented 26-year-old has competed all over the world against some of the best fighters the division could offer. Hamech has fought top names, including top-10 pound-for-pound and three-division K-1 world champ Takeru, multiple Lumpinee stadium titleholder and current ONE flyweight champ Sam-A Gaiyanghadao, former Krush super bantamweight champ Ryuji Horio, and Evolve’s Petmuangchon Por Suantong. He also holds notable wins over Franck Gross, Wang Junguang and Yun Qi. After losing three straight fights to kick off 2018, Hamech returned to the win column in his ONE debut, where he knocked out WBC Japan champ Yukinori Ogasawara with a huge right hook. The last notable contest features Japan’s Hiroki Akimoto and Italy’s Joseph Lasiri. Akimoto, 26, was a K-1 Koshien finalist, WBC Muay Thai Japan champ and Japanese Full Contact Karate lightweight champion. He left the sport in 2014 to pursue a career in karate, but returned in 2018 when he signed with Evolve MMA. 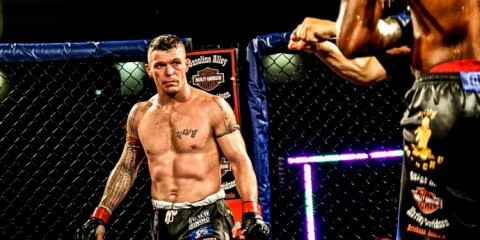 He impressed in his ONE debut with an utterly dominant performance against K-1 vet Josh Tonna. He dropped his Australian foe multiple times in the bout to remain a perfect 20-0. Former WBC Muay Thai super bantamweight champion Lasiri, 27, was involved in the first-ever Muay Thai bout in ONE history against the current flyweight king Sam-A. He has fought four times since joining the promotion, all with four-ounce gloves, but he has yet to get his hand raised despite thrilling matches against Singtongnoi Por Telakun, the aforementioned Tonna and Jonathan Haggerty. Women’s atomweight star Mei Yamaguchi meets Kseniya Lachkova on the preliminary card. Does Yamaguchi emerge with the win? Yamaguchi is one of the most decorated and accomplished female fighters from Japan who is still actively competing. She captured the Smackgirl The Next Cinderella tournament to kick off her professional career in 2007, won the Valkyrie women’s featherweight tournament, and went on to claim both the Valkyrie and Deep featherweight belts in her illustrious career. Yamaguchi found success outside of the cage as well. She was the runner-up in the 2009 and 2012 Shoot Boxing women’s S-Cup tournament, losing only to legendary four-time champion Rena Kubota. At age 36, Yamaguchi has produced 18 career victories, with nine bouts ending before the final bell. She has been in the ring or cage with many of the best female competitors in Japan and women’s MMA history. Despite losing to Megumi Fujii, Ayaka Hamasaki and Seo Hee Ham, Yamaguchi has a solid resume with victories over the likes of all-time great Yuka Tsuji, Jewels Rough Stone GP winner Mika Nagano, and former champions Emi Fujino, Mina Kurobe and Emi Tomimatsu. She has won three of her last four fights, with victories over Jomary Torres, Gina Iniong and Jenny Huang. Since 2015, Yamaguchi has only been set back by losses against Istela Nunes and Angela Lee. Yamaguchi welcomes a relative unknown to the international scene. Lachkova, 23, has only been competing in MMA since 2014, but she comes from a strong athletic background and an accomplished Pankration career, where she won a championship in 2013. She recently moved to the Fightspirit Team in the Caucasus region of Russia to continue her development. The move has paid off under coach and fellow ONE competitor Aziz Pahrudinov. Lachkova has won 10 of her 12 career bouts. She finished eight of those contests and went undefeated in 2018. She has never been finished. Lachkova has yet to face a top-level competitor in her career. However, her skill level is better than her resume suggests. Lachkova, who is currently riding a five-fight winning streak, will present some problems for Yamaguchi if she can get her game going. She will have a significant height and reach advantage, which won’t be the first time Yamaguchi will contend with this issue. “The Tigress” knows how to take advantage of her length by using her straight punches, variety of kicks, and ability to step just outside while remaining in range to counter her opponent’s attacks. Lachkova loves to throw a sharp jab as her rangefinder, and she will follow it up with her impressive kicks and her favorite combination, the 1-2, slip and counter right straight, which has garnered great success for her throughout her career. Yamaguchi is an excellent striker in her own right. Despite her stature, she has solid boxing and has been able to hurt much larger opponents with her powerful combinations. In what many people still consider to be the best women’s fight in ONE history, Yamaguchi was able to drop the aforementioned Lee with a beautiful overhand right. Yamaguchi is a fundamentally sound striker who can certainly match Lachkova blow for blow, but she would be best served to mix in her takedown attempts. Yamaguchi is an excellent grappler who likes to land big punches from the top position. She will risk her position to go for the finish, and she has never been submitted or knocked out in 30 pro bouts. Lachkova is a slick competitor on the mat as well, but she will likely try to keep this fight in her comfort zone. Lachkova doesn’t have the name value of a fighter like Yamaguchi, but she will make for a competitive and fun fight with one of the top ladies in the division. However, Yamaguchi’s experience and skill level will be the defining factor in the contest.